Other teams available upon request. Size is approximately 16in wide x 12in high. 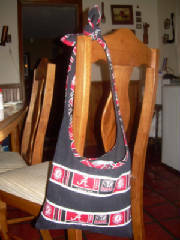 Custom handmade by order Alabama Crimson Tide College Football Team Black Denim Purse Bag. Name or initials can be monogrammed on purse. Size is approximately 12in wide x 9 1/2in high. Custom handmade by order Alabama Crimson Tide College Football Team Bag Purse. Size is approximately 17in wide x 12in high.